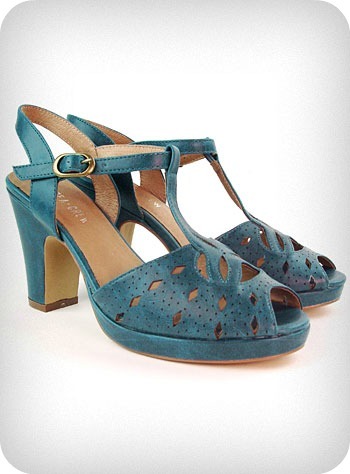 With these Jitterbug Jane Sandal's from Plasticland. I can't wait to make them mine. Do new shoes make you happy too? Very, very cute :) I love new shoes...I think I need to buy myself a new pair soon! I think you NEED new shoes. You deserve them. I'm saving up my pennies for these. I wonder which shoes you would choose for your next pair. I bet they are super cute.